Whether you’re putting pencil to paper or diving into any number of software programs designed for your inner artist, Biowars is here to provide you with some basic step-by-step instructions on how to draw superheroes – oh yes, and villains. It doesn’t matter if you’re just starting out or a full-fledged doodling expert, the drawing process often comes down to just a few fundamentals that can give you a great start in creating your own comic book characters, and potentially launching your own digital or print comic book. But first, take a moment to watch our short Biowars video to see what goes into creating a Biowarrior, and then continue reading below to see how it all comes together from the beginning. Get your pencil or mouse ready, because Biowars is about to take you on a journey to the far reaches of your own creative universe. Alright, comic book fans, let’s get started. Drawing a stick figure doesn’t sound like it should be part of the process, but it’s how nearly every artist in the comic book industry gets started before fleshing out their design. 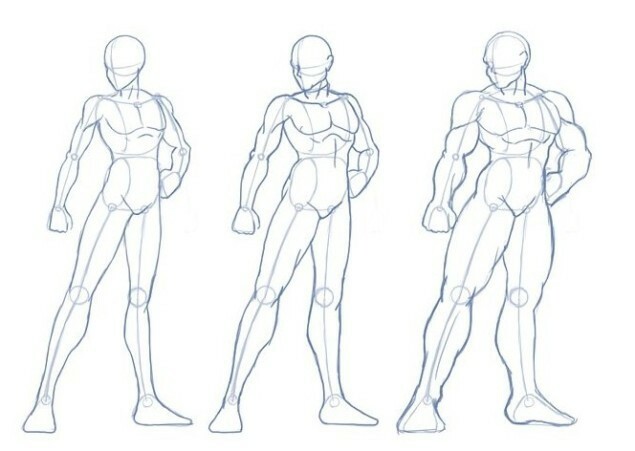 Not only are you able to determine the action your hero is engaging in during this step, but you’re also making sure your figure has the appropriate dimensions laid out before getting too far into the drawing process, when it’s much harder to make adjustments. On average, the male and female superhero is 7-1/2 heads tall, so whatever size you make your hero’s head, make sure their body is roughly 6-1/2 heads long from where their neck begins and their feet end. On the other hand, if you’re deliberately creating a comic book character that laughs in the face of convention, then by all means – get creative! The next step to drawing your superhero or villain is creating a lifelike structure on top of your stick figure. If you’re doing a human comic book character, then you have a pretty good idea what an average person looks like in terms of their skeletal and muscular structure; but drawing it is another matter altogether. For beginners, it’s now a good time to do a little study of human anatomy. Examine the human skeleton and see how the bones connect and manipulate in various positions. Add to this a quick study of the layout of human muscles in relation to bones, and pretty soon you’ll have a fairly good idea on how to tackle everything from elbows and collarbones to pecs and biceps. Of course, if you’re drawing up an alien comic book character, this is your chance to really let your creativity shine – though you should probably still have some kind of system in place to have it make some kind of visual sense upon completion. Now the real fun of drawing your own superhero begins to take shape. This is where those who started with a pencil and paper will have to break out an eraser for a little editing session, while those working digitally may have to erase a few lines on their screen. For many comic book artists, having a top-down approach to the designing process works best. To do it this way, start by drawing in the features of your hero’s face, as well as putting finer details on their hair, ears and anything else you want added in this general area. Afterward, begin taking your pen to the rest of your hero, which may include customized clothing, accessories and weapons. If you’re not great at it right away, don’t allow yourself to obsess over the little things. Not a single comic book artist was great at drawing right away – it really does take passion and persistence. While you may struggle in a particular area at the beginning, such as drawing hands or feet, just know that many who became master artists in the comic book world had these same difficulties when they first got started. Now that your drawing is nearly complete, add some final touches by putting some color on your character’s canvas. In comic books, the tendency for heroes is towards lighter shades on the color spectrum, while villains often receive darker treatments in order to help them exhibit a more complex and troubling persona. Really, though, it’s up to you and how you want to personalize your drawing to your liking. What’s most important is enjoying the entire creative process.